Edited by Magdalena Trzcińska . The emergence of transplantology has definitely launched a new era in the history of medicine. And although the first attempts at transplanting organs would frequently end up with a failure, it is thanks to the determination and courage of pioneer doctors and sacrificial attitude of the patients that we can enjoy today’s state of knowledge and potential in the field of organ transplantation. It should also not be forgotten that clinical transplantology owes its development and getting well-grounded to the development of such fields of medicine as nephrology or clinical immunology. A clear dynamic development has been observed over the last decades also in the field of immunosuppressant treatment. At present immunosuppressant drugs are more effective and safer, posing a lower risk for side-effects to the patients. Many years have passed since the first successful kidney transplantation and the method, although no longer considered a medical experiment, is still perceived as controversial and, as such, it triggers many emotions. And even though family transplants attract more social understanding, unfortunately the same is still not true for recovering and transplanting organs from a dead donor. Much confusion concerns mostly the concept of brain death and its diagnostic procedures. Doubt is found even among medical doctors or heath-care related communities, most frequently due to a lack of knowledge or wrong understanding of the concept of brain death. Many years and conscious educational efforts are still needed to make kidney transplantation, for many people the only chance for an active lifestyle and improved quality of life, win common social acceptance and stop triggering negative connotations. The need of mass transplantology education has been already effectively implemented in many EU countries, the United States and in Canada; it is spread not only by the medical community but also by the emerging and already active associations of organ transplant patients. The statistics gathered by the World Health Organization (WHO) show that in 2009 in 27 EU countries 17886 thousand kidney transplants were performed, namely 668 (0.6%) transplantation cases more than in 2008. The statistics demonstrate that the number of transplantations performed has been regularly increasing for more than twenty years. Apart from the transplantation controversies piling up over the years and transplantation not always winning social acceptance, transplantologists also face many other medical difficulties. Much research covers the phenomenon of graft rejection and algorithms of post-kidney-transplant procedure, and the effectiveness of new drugs is being tested. A growing potential of transplantology is also due to the advancement of research into the significance of gene polymorphism, the potential of the application of the achievements of proteomics in diagnostics (e.g. 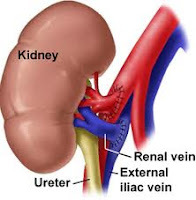 allowing for identifying urine proteins differentiating between active inflammatory changes in kidneys) or numerous research on various aspects of the immune system functioning. The authors of chapters published herein are experts in their respective fields. The chapters selected are of high level of content, and the fact that their authors come from many different countries, and sometimes even cultures, has facilitated a comprehensive and interesting approach to the problem of kidney transplantation. The authors cover a wide spectrum of transplant-related topics: significance of research into gene polymorphism, possibilities of applying techniques offered by proteomics, the effect of ischemia or flow disturbances on the kidney graft, monitoring its function after transplantation as well as multi-aspect research and analyses of immunologic mechanisms. The book does not disregard the problem of mental aspects, essential especially from the patient’s perspective. As the editor, I wish to thank all the authors for their cooperation, research efforts, literature reviews and their precious clinical observations as well as for their desire to share with the medical community their precious experience without which this book would not be possible. Finally, on behalf of all the authors I wish to express hope that our publication will not only facilitate access to the latest scientific achievements in the field but also enhance a further progress in transplantology and propagating the idea all across the world.